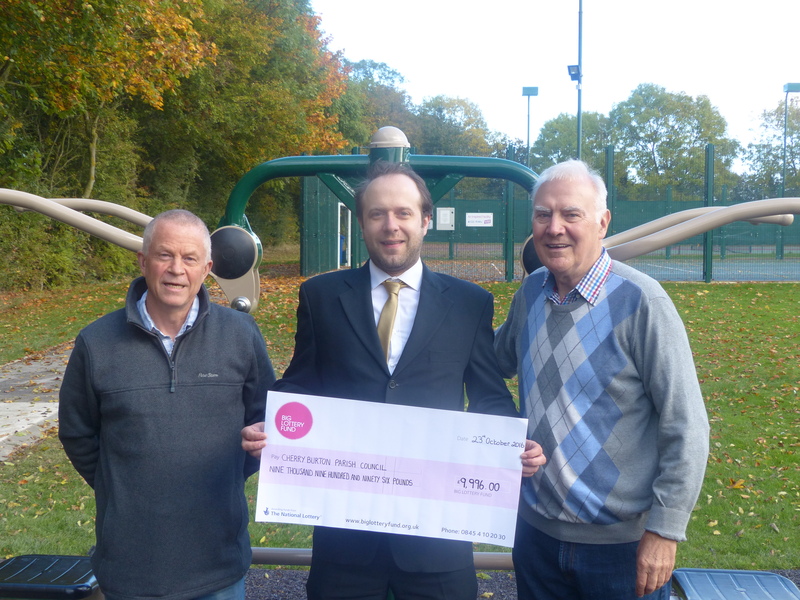 The Sportsfield Management Committee is pleased to announce they have received funding from the Big Lottery and ERYC to install Outdoor Gym Equipment on the Cherry Burton Sportsfield. The outdoor equipment includes Air Skier, Air Walker, Bicycle, Seated Chest Press and Pull Down Challenger. Around the base of the equipment will be a rubber safety surface. The equipment is specifically designed to be used by people of all ages and abilities and is suitable for the less agile helping to improve fitness and flexibility. The investment continues the improvements to the sportsfield. Over the last 5 years circa £150k has been invested to improve the activities on offer to the parishioners.